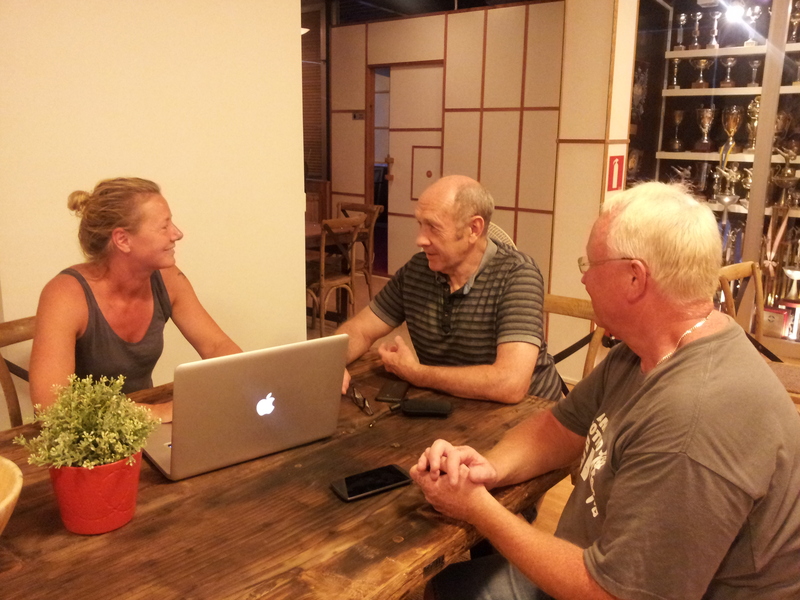 The other day I sat down with Sensei Annika from Banzai and Sempai Reine who is the Chairman of Gothenburgs Karate Kai and had an interview for my dojo 50 years celebration. We talked about the dojo, past, present and more importantly the future. Where do we go from here, will things change, lots of questions but very hard to find answers. 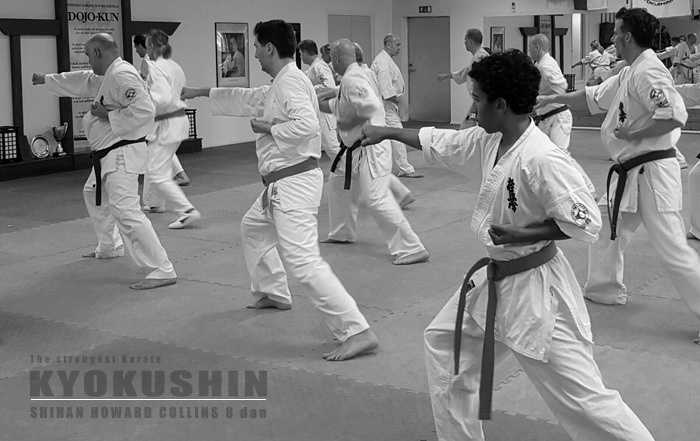 Is Kyokushin changing? 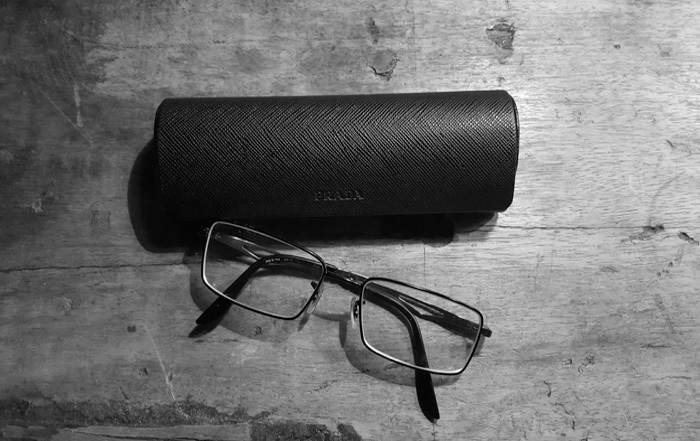 is it for the better? We talked for well over an hour, now Annika has to type everything out, not an easy task. It will be interesting to read when it´s finished. 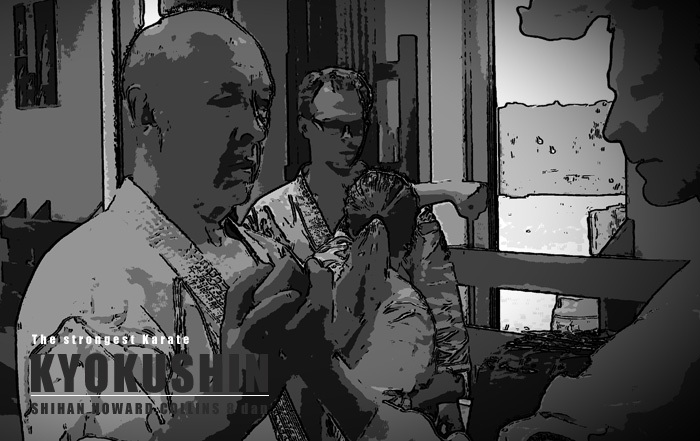 My question to you the readers is how do you see the future of Kyokushin? I hope you are doing well and congratulations for your 50 years Dojo´s birthday. I am sorry about my english, is not too well. I really like your website and I really like your traditional Kyokushin way of teaching. 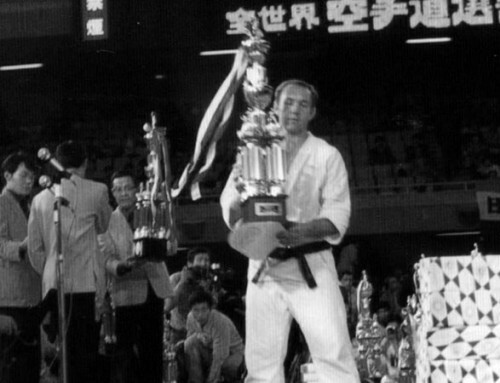 I think that today the Kyokushin karate of Mas Oyama has changed to a sport Karate in almost all the Dojos around the world, luckily not everyone. Your Dojo is one of those wich still train the true old Kyokushin and that´s because I follow you through the web and I really like the stories from your Uchi Deshi time under Sosai and the amazing pictures. I really like your Kata Bunkai explanations and i want to see more and more videos from you and Kata Bunkai. 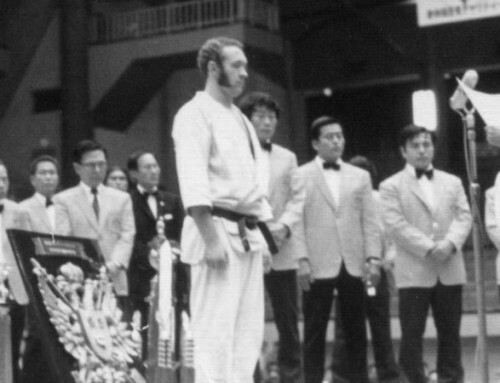 That is a very weak point in the nowadays´s Kyokushin. I think that every Dojo should train Kyokushin like old days, kihon, ido, kata, bunkai and kumite, and train sport Kyokushin for competition as a complement of the Budo Karate way. I think they can coexist. That is my humble opinion. Thank you very much for sharing all the knowledge. I was also interviewed by reason of the club’s fifty-year celebration and was asked about my views on the club’s future. The question surprised me and aroused a number of supplementary questions. How will tomorrow’s training look like? How will the club to promote itself? Who will be the club’s future instructors and who will be the future enthusiasts at the dojo? What values and traditions will applicable to the future? Your question to us students is very important Shihan and requires reflection. Some of us who train at the dojo rarely think beyond to take us down to the dojo, train and then go home. Much of our effort and energy is spent on taking care of ourselves. Reflecting and thinking about the future of the club comes in second place. Thank you for the question Shihan! Having been rather fortunate to have graded in JUDO and Karate (Shotokan & Kyokushin) – grading in these disciplines has allowed me to never dislike KATA but see from day one how, when, where, why, and what techniques fit more comfortably than others. Given Sosai was graded in Daito-Ryu under YOSHIDA Kitaro I’ve found there are almost no punches, strikes, nor kicks in the application of true Goshin Jutsu. Having served in the military and private security (Close Personal Protection) , striking / kicking an opponent always ends in favour of the enemy / attacker. 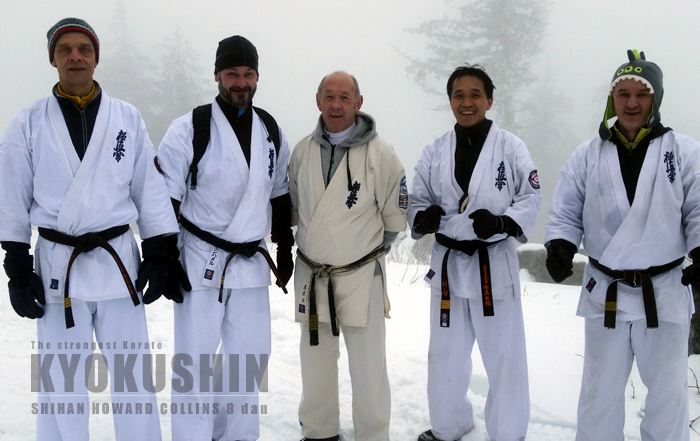 Hence if Kyokushin IS to survive when people of your calibre and John TAYLOR Hanshi are gone; Goshin Jutsu from within the Daito-Ryu system MUST be compulsory within the Kyokushin Curriculum. Otherwise Kyokushin runs the risk of losing more members to bastardized systems such as KRAV MAGA, and Brazilian Ju-Jitsu, These being systems I have very little time for when all the techniques and answers relating to true Bunkai are right under our very noses. 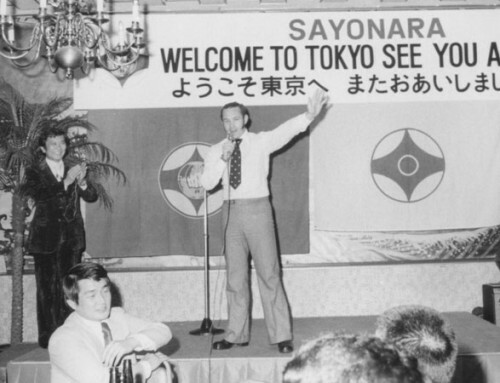 The birth of Kyokushin was no accident; Sosai knew exactly what he was doing and his training under Gichin FUNAKOSHI , YAMAGUCHI, and YOSHIDA Kitaro leaves us with access to finding all the answers needed to save Kyokushin. KATSUYUKI Kondo (Head of Daito Ryu) is very much alive and well; I just hope more Kyokushin Yudansha will take the leap of faith and learn Daito Ryu also in order to truly understand and KNOW what Sosai was teaching in all its facets ! Daito Ryu is the original Aiki-Jutsu that Steven Segal himself learned and at one stage was meant to have been dismantled as an art form during WW II by General McCarthur. Instead , Daito Ryu survived and is very much the other side to the Kyokushin Coin we already hold in our hand. 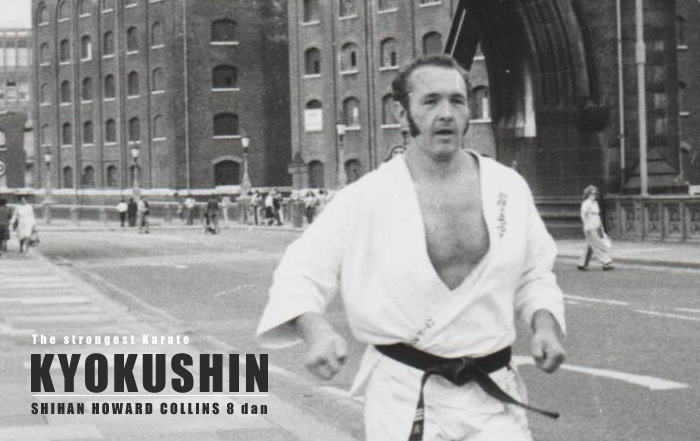 I trained with Sensei Howard Collins when he was a 4th Dan in sunny South Wales. He had a class in Newbridge, where I first met him, but then later moved it to Newport. We were a similar build around 5′ 9″ and Eleven and a half stones. I had started training with a Brown Belt – Bryn Rice in Abertillery, but he finished the class after sustaining a broken wrist in sparring. I then moved on to Kung Fu. 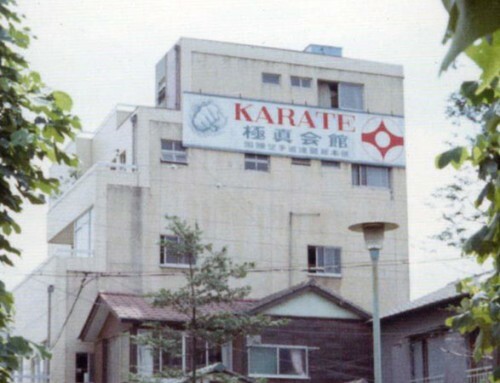 I came back though to train with Sensei a few years later, but realised that though I loved the hard training style that was and is (Kyokushinkai) Kyokushin, It was impossible to mix it with the softer Kung Fu. So after a year or so of training, with Sensei, I finished my training and stayed with the Kung Fu – and still am. Though I will never forget how when Sensei changed from his everyday clothing to put on his Gi, his hands seemed to get bigger and stronger. I knew his Karate background and knew that he was a top quality Karate man. He could be gentle and understanding, but that Mawashi-geri Bang, bang, bang on the bag in Newbridge. Then, he sparred with a child and lifted his leg and with a smile on his face – lightly brushed the boys hair with his foot. Also his famous Demo with Alwyn Heath’s Katana, which I saw a few years later. I doubt he will remember me with all the students he has had, but he may as – The Kung Fu guy. 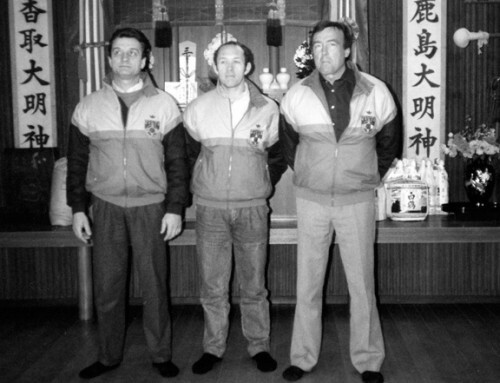 I was lost from Kyokushinkai to Kung Fu, but I have stayed with it all my life and it is my way…I have fought Full Contact around the world and have twice been to fight in China. 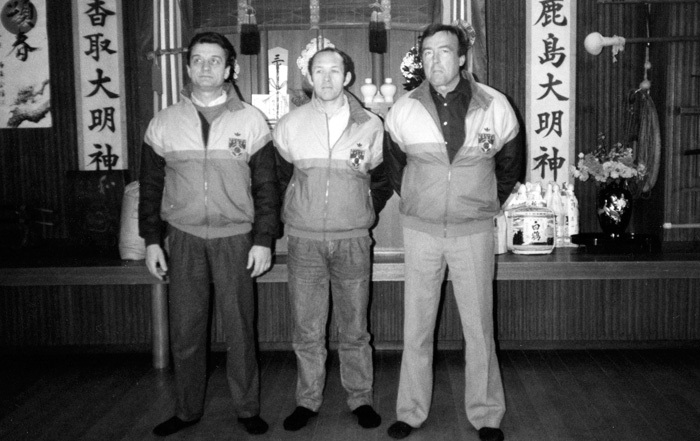 I will always remember Sensei and Kyokushnkai with pride and honour. The arts do teach you so much about people, life, yourself and your truth’s – and the truth. Shwmae Shihan – lechyd da! Sorry Shihan. 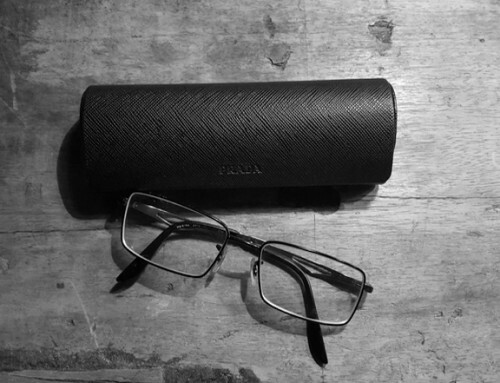 I would like to add…after reading your Kiai post – do you remember the Kendo class, next door to us in Newport and their Kiai’s? They only had four -six training, but they were loud.